The busy Christmas period is also starting to affect the footballing world, where most clubs are going into a training program, that demands two games a week. This means double the football and double the boot spots, so let's take a look at the best of the lot. There's everything from takedown-models, blacked-out boots and much more. 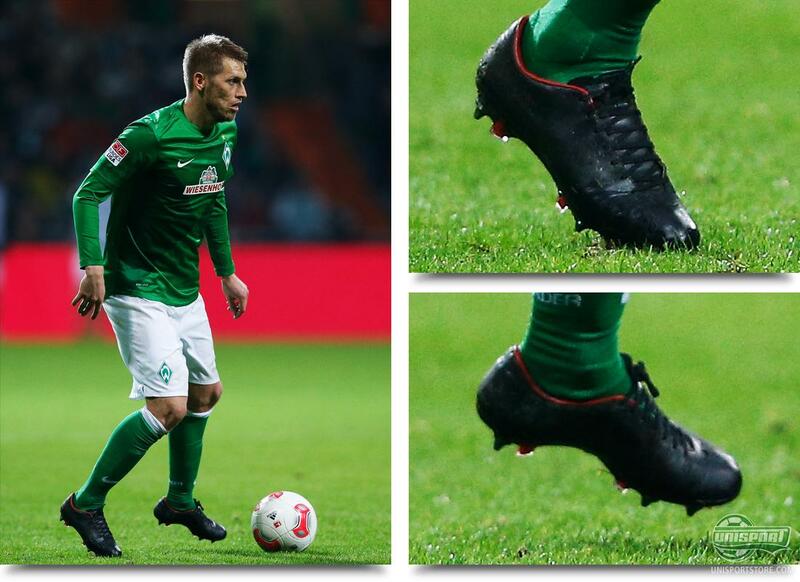 Aaron Hunt (Werder Bremen)  Nike Mercurial Vapor VIII Mango/Black Blackout We start off in Germany, where there was midweek Bundesliga-football on the menu and in connection with that Werder Bremen and Bayer Leverkusen clashed, where the first mentioned had Hunt in the starting line-up. We've had him in our boot spots before, because of his exceptional talent for blackoutting his boots and it looks like he has been grain blackening again. He has completely blackoutted his Nike Mercurial Vapor VIII Mango/Black and we take our hats off, excellent work and the result that follows. 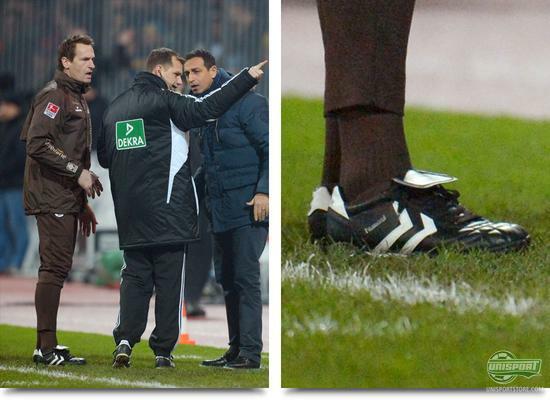 Mathias Hain (St. Pauli)  Hummel Old School Star Black/White Our boot spots aren't reserved just for the players, because on the sideline of this game in the second best German division, we spotted an absolute classic, on the feet of St. Pauli's Goalkeeping coach. He'd chosen to wear a pair of Hummel Old School Star from the Danish brand. Probably the most standard boot in the world, with an upper from kangaroo-leather and a simple stud-configuration, combined with the conservative, but still super elegant design and you have a true modern classic. 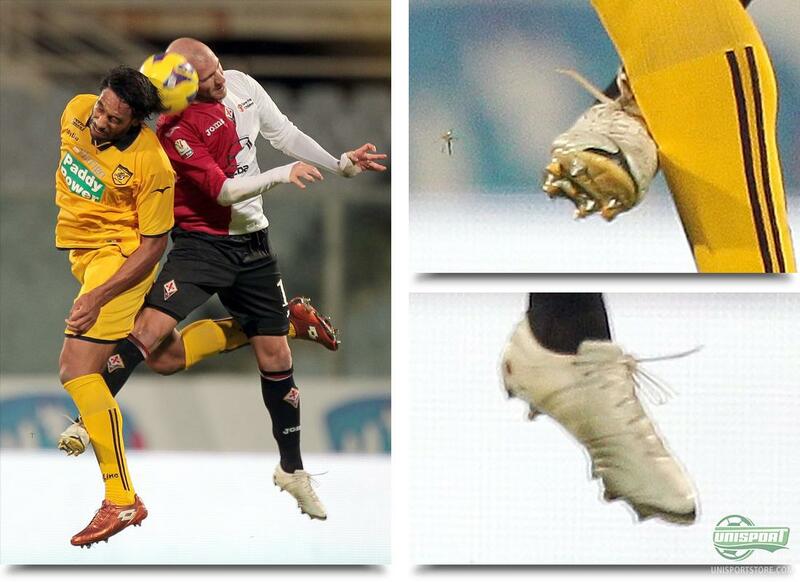 Christian Ezequiel Llama (Fiorentina)  Adidas Adipure 11Pro Whiteout In Italy there was cup-football in the midweek games and in Coppa Italia Fiorentina went head to head with Serie B side Juve Stabia. We definitely raised our eyebrows when watching the game and that was mostly due to this gentlemans boot choice. He has a especially cool name and when you then pair that with a rare boot selection, well then we are just completely sold. He was wearing a pair of Adidas Adipure 11Pro for the occasion, but it was a whiteout version, that we've actually not ever seen professionals use and it lives up to the elegant reputation. 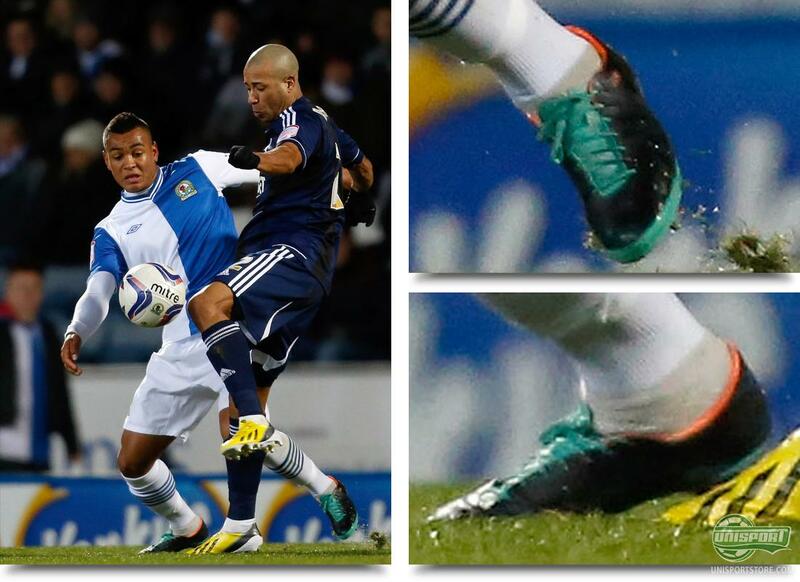 Peter Odemwingie (West Bromwich)  Adidas F50 Adizero Black/Silver/Yellow The Nigerian striker has only hit the back of the net four times this season, but that hasn't stopped The Baggies from playing their way to a very surprising fourth place in the Premier League. 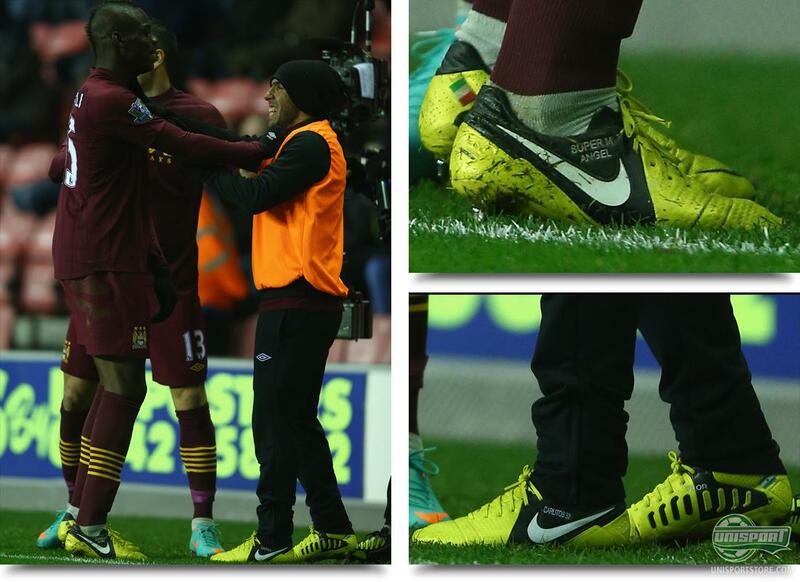 His goal-tally probably matches his number of boot changes in this season and lately he's also begun using a new boot. It's a pair of Adidas F50 Adizero Black/Silver/Yellow, that seem to have been slightly blackoutted, which gives them a very unique and cool look. 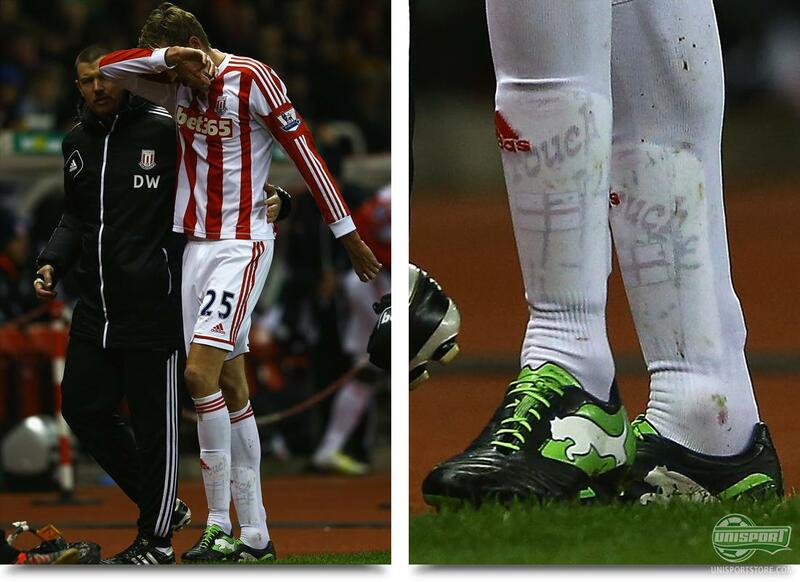 Have you ever tried personalising a pair of boots, like Odemwingie's done here? Peter Crouch (Stoke City)  Puma Powercat 1.12 Black/Green/White The biggest team in the Premier League, physically if not anything else, wouldn't need more than 4 minutes to change the tide of the game against Newcastle, from a 0-1 defeat to a 2-1 win. It was some of the clubs big boys, who scored the goals, but for once, it wasn't The Crane, that struck. None the less we noted this tower of a man, had been given the new colourway of his favourite boot; Puma Powercat 1.12 Black/Green/White. Maybe slightly surprisingly the six foot eight striker only uses a Euro size 46,5  Had you not expected a much bigger foot from a man with his frame? Mario Ballotelli & Carlos Tevez (Manchester City)  Nike CTR360 Maestri III ACC Yellow/Black Italian Super Mario was back in the defending champion's starting line-up and that signal of trust was rewarded with a goal by captain controverse himself. He celebrated with his strike-colleague Carlos Tevez and the pair are no less than boot-brothers. They both prefer the Nike CTR360 Maestri III, that is normally advertised as a midfielders boot, and interestingly enough they have gone for the launch colourway, Yellow/Black. The close-up picture reveals a bit of embroidering on the side of the boots. - Can you make out what it says? Joshua King (Blackburn)  Nike Mercurial Vapor VIII ACC Retro/Total Orange/Challenge Red/Partial blackout In the second best English division there were a few spots to choose from, but this week it was especially Manchester United-loan boy, Joshua King, that caught our attention. As much as we earlier praised Aaron Hunts blackoutted Vapor VIII's, we have to equally display our dismay in Josh Kings. A very half hearted attempt, is probably the nicest we can say about his Nike Mercurial Vapor VIII ACC Retro/Total Orange/Challenge Red, that are as good as ruined. Surely you could have done a better job? Robin van Persie (Manchester United)  Adidas Predator Absolion Neon/Blue It's no longer a surprise, to spot the sharpshooting flying Dutchman, in the old Adidas Predator, but we were still a little taken back, when we had a closer look at his boots from yesterdays game against West Ham. As the picture shows it looks suspiciously like the takedown-model, Absolion and not the pro-version the Adidas Adipower Predator, that he has otherwise used quite frequently before. It's the outersole that gives it away, that doesn't have the Adidas Powerspine-technology or the well known SG stud-configuration with a mix of SG- and FG-studs. Theo Walcott (Arsenal)  Nike Mercurial Vapor VIII ACC Retro/Total Orange/Challenge Red The lightning quick Englishman was among the prestigious lot of young European talents, to be picked out as part of the GS 2 Squad, that have been given the honour of playing with the concept boot. He's yet to give in to the temptation of playing with them and that's why he quite surprisingly was still playing in his Nike Mercurial Vapor VIII Retro/Total Orange/Challenge Red, which he none the less still netted in. 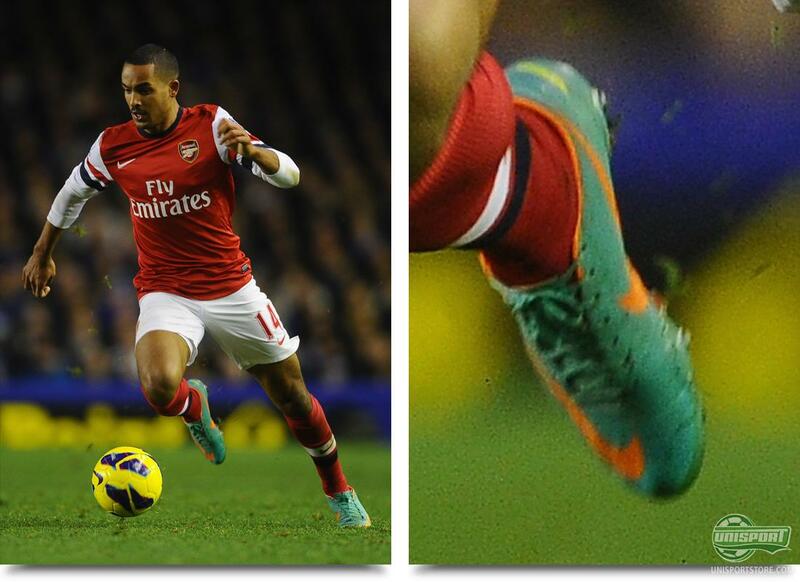 Do you think Walcott will get his GS2's on in the weekend? 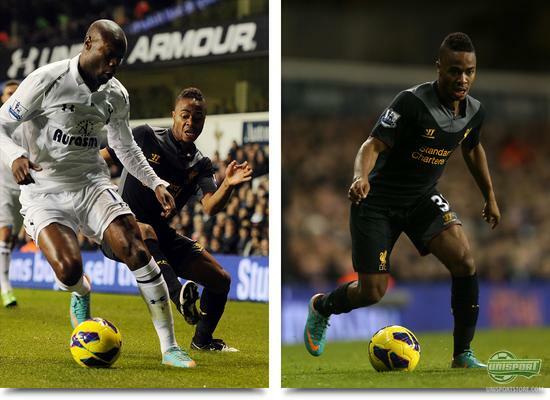 Raheem Sterling (Liverpool)  Nike GS2 White/Black & Nike Mercurial Vapor VIII ACC Retro/Total Orange/Challenge Red The tender aged winger has already been labelled as Liverpool's new hope and the massive potential and talent has also been acknowledged by Nike. They included him in the exclusive GS 2 Squad with other big young players from around the world, among them Christian Eriksen and Mario Götze. Sterling had been true to the boot ever since he got it, but in Wednesday's game against Spurs, he decided to change them out in the break and use his good old Nike Mercurial Vapor VIII ACC Retro/Total Orange/Challenge Red again. Whether they broke in the heat of battle, or whether he suffered from a comfort problem is still somewhat of an Enigma. - What do you think? 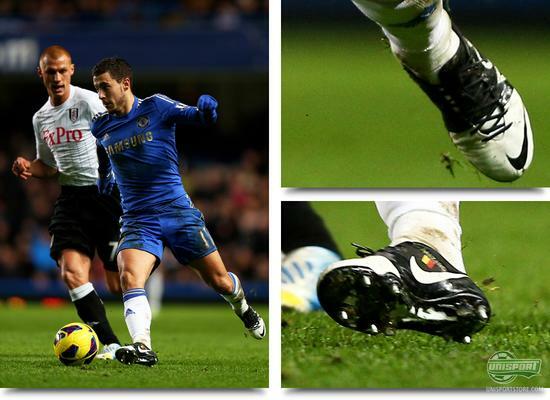 Eden Hazard (Chelsea)  Nike GS 2 White/Black Through all of this it's good, that Nike can still trust the Belgian superstar, Eden Hazard, who has been loyal to the boot, ever since he got the opportunity. He's yet to net with them and against the ever hard-working Fulham, he was forced to wait a little longer. The game finished 0-0- and that's the fifth time in two rounds of football, that a game has finished goalless in the Premier League and this would point towards the defenders getting a better grip, after a very high scoring start to the season. A quick trip through Europe was the keyword in this weeks boot spots, where we've definitely been spoiled with some good boots. Nike GS 2 is still looking strong, but we are starting to wonder why so many of the GS 2 Squad members are choosing not to play in it. What do you think is behind this ? 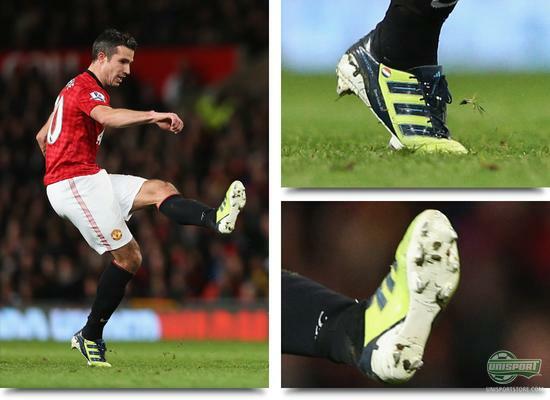 And what are your thoughts on Van Persie's Takedown-boot- why hasn't he gone for the top-model? Share your thoughts and opinions in the comment section below.